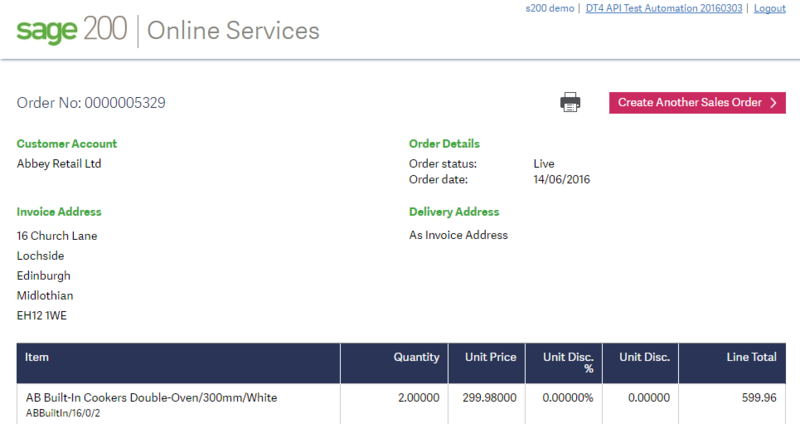 Sage 200 Version 2016 offers users a new way of getting sales orders into Sage 200 from a web browser. 2) Pop in your product, warehouse and quantity. The price is then populated based on the customer, quantity and product entered. (You can overtype this if you wish, but if you don't have the permissions to amend prices, your order will not be posted). Just click Add and when finished, click Create Sales Order. Web Sales Order Entry will work on a mobile device or tablet. The latest versions of Chrome, Internet Explorer 11, Safari, Firefox and Edge are all supported. Other devices and browsers may work fine but have not been tested. In order to use Web Sales Order Entry, you must have the API enabled for your particular version of Sage 200 (all Sage 200 Standard Online sites have this enabled already). Individual users must also be configured to have API access (Extra and Extra Online only) and be configured as a web user. This is a really handy tool for sales reps out and about who want a quick and simple way of getting their Sales Orders into Sage 200.